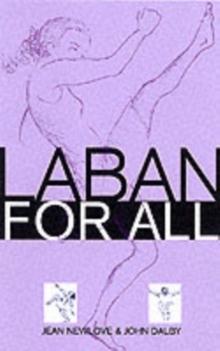 Rudolf Laban is a theorist and practitioner of movement. He laid down a system for analyzing - and annotating - the way the human being moves in space. He ascribed values to these movements, releasing the expressive power contained within each one of them. 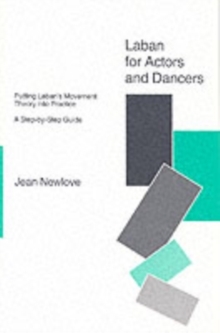 This is a basic "how-to" manual on the Laban system of movement. It offers a simplified version of his system which can be used by relative beginners upwards. We are introduced to the "Kinesphere" - which simply means the personal space surrounding each one us extending as far as we can reach. It discusses the "Dimensional Cross" - which is a way of describing movement in three dimensions: high/low, forwards/backwards and side to side. It also covers "Pathways", "Trace Forms", "Levels" and "Zones". Each new term is accompanied by very specific illustrated exercises, designed to strengthen and deepen our understanding. When we have grasped - and practised - the basic vocabulary, we move on to its expressive possibilities in drama and dance.